The keyboard festival programme started with a special afternoon in February at Winchester College School for grade/stage 1-5 and 6+ with Anthony Williams, head of Keyboard and Instrumental Music, Radley College. Anthony studied at the Royal Academy of Music and has established an international reputation following success in international piano competitions and appearances around the world. As a teacher, his pupils achieve notable success, including a concerto finalist in the BBC Young Musician. A number of attendees were subject of the masterclasses with a variety of styles and techniques visited. In March and April Keyboard Play Days were organised for beginners to grade/stage 3, supported by our specialist teachers. Workshops were held before they formed a keyboard ensemble for an informal concert to family and friends at the end of the day. Bringing, what is normally seen as a solo instrument, into a group setting. 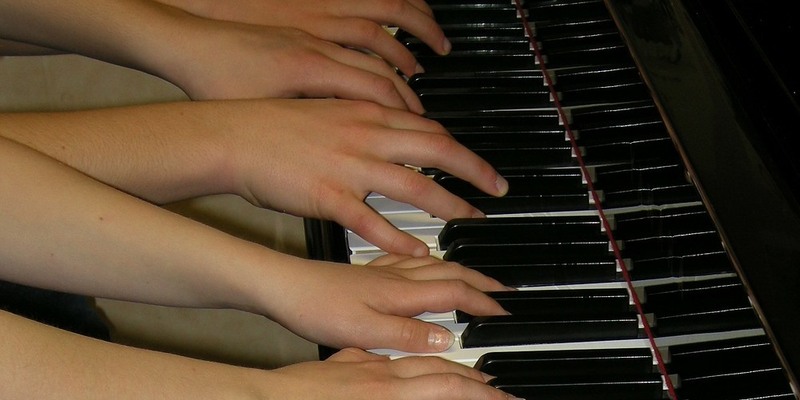 Young keyboard players are welcome to join our new First Access Andover Ensemble, which caters for keyboard players in an orchestral setting. For details see our Area Ensemble page.